Hi. I’m Warren, although being Australian most folks have nicknames, often abbreviated, that are accepted norms for a friendly g’day. So I am often called Waz, or Wazza, which I have grown to love. I’m a Dad. I am proud to be a Dad. I am very proud of my son. I love my son and my Dad. I prefer ‘Dad’ instead of ‘Father’, and while I am both, any bloke can be a father – they’re just biological. Being a Dad takes unconditional love, commitment. and guts. Importantly, it takes an unthinkingly selfless worldview. When I was privileged enough to catch my boy during the water birth, I was unexpectedly no longer the centre of the universe – and that was just fine by me. There really was someone I would throw myself in front of a bus for. That feeling, that reality, remains. My boy is now a young teen, and while I know there is still a lifetime of learning and love to come, I have seen, experienced, and know many aspects of being a Dad. I work hard at it. Sometimes I win, often enough I fail. Far from perfect….. I try to be the best Dad I can in this crazy, mixed up world. And that’s what this blog is about. My attempts at achieving ‘Dadosity’. Via a few successful Facebook group posts, I’ve had a number of people suggest I should write. I want to write a memoir, but first, this blog. There are plenty of far more experienced writers than me out there with successful, well-established blogs on fatherhood/dadhood. Still, I hope that I might be able to add my own unique points of view. I should probably do a creative writing course. I’ve had no writing training other than high school 40 odd years ago. I haven’t read any of the many blogs on ‘how to blog’, yet. I guess I’ll evolve. I’ve been a solo Dad for 9 years after being a married Dad for 5. I’ve had at least 50% custody most of that time, more these days. I get on fine with my ex. We live in Sydney, Australia, which has been home to me for 28 years, prior to which I was born and lived in New Zealand. I’m 53, 6 foot 2, 100 kg’s, and have some health issues. I’ve had an amazing, diverse life and multiple careers, had incredible highs and lows, but no ‘job’ has been more important or rewarding than being a Dad. Dadness. Dadhood. Dadology. Dadscape. Daditude. I can keep making more up. Where the hell did Dadosity come from? I like it, I made it up. But what does it mean? 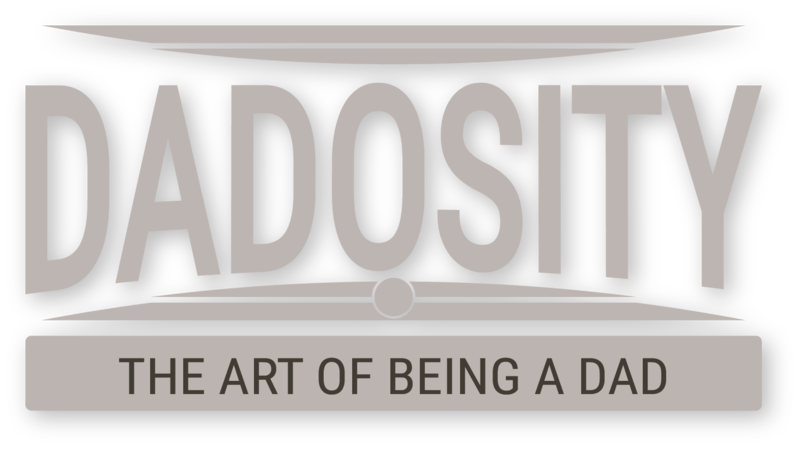 Dadosity is the art of being Dad. A positive, modern, inclusive, thoughtful attitude to parenting and life. I’ve also tried to view my actions and motivations from a distance – the third person. Being the best Dad I can under any circumstances. Celebrating the many wins and mourning losses along the way, and learning. My Dad’s stuff. He taught me so much about being a good Dad. Friends and other Dads I know and knew. Some of them are very cool indeed. Great Dad’s I read and hear about. Information from online groups and blogs. Some posts are about or copied from others posts, with credit given where appropriate. Women’s points of view, especially Mums – usually genuine unsung heroes. My ex-wife, business owner, and hard working top Mum to our son gives me constant inspiration. Even my sons Step Dad does things with my lad that I cannot. Always, and most importantly, My Boy – he’s just the best. He’s the one that’s given me the joy of parenthood, Dadhood, and Dadosity. His thoughts and actions are an integral part of this blog. He’s taught me more than anyone. Dadosity attempts to see Dadhood from both the childs and parents points of view. Like when I crack a joke that I think is genuinely funny but makes my son just want to hide under a rock. Or when I attempt to use one of his new slang words in front of his friends but use it painfully inappropriately. It’s funny to some (me), embarrassing for others (him). Me. A good Dad? Maybe. Yet I try for more. I want to be a cool Dad. Often, my son and my friends believe I am. Sometimes though, I can be embarrassing. Distinctly not cool. But this blog aims to visit so much more than these things. It’s a metaphor for an exploration of what it means to be a Dad today. It’s a complicated world we live in. With so many disparate worldviews, politics, morals, family units, relationships, communications, information portals, news, ‘facts’, opinions, forms of spirituality, education, social media, entertainment…..again, the list can go on and on. Navigating what it means to be the best Dad I can is not easy. It’s a serious business, but it can also be so much fun. My story of what I’ve discovered in my time as Dad. I’ll never be as cool as you. I'd love to hear people's views in a conversation about what I write. If you have an opinion, please share it in the comments section below any post, and feel free to engage with others. Thanks. Cheers, Waz.